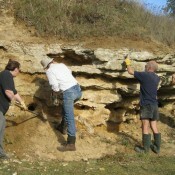 Sites worthy of local or national designations certainly deserve conservation. 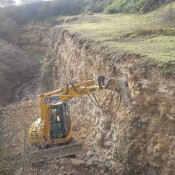 The management strategy for a site may simply require a periodic visit to check its condition and the removal of encroaching vegetation. 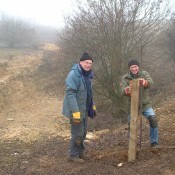 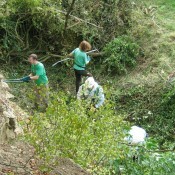 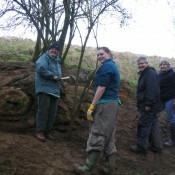 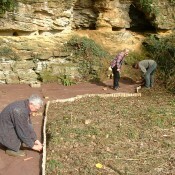 Groups regularly organise work days when volunteers bring their loppers and brushes and clean up the rocks! 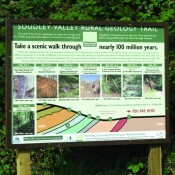 At suitably accessible sites, with landowner approval, it is possible to carry out more substantial improvements, such as the building of paths, ramps or viewing areas, and to install interpretation panels or produce information leaflets. 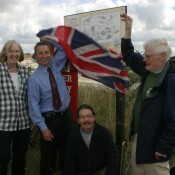 Interpretation boards... Leigh Delamere opening. 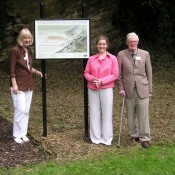 ... Westbury Information Board, Wiltshire.